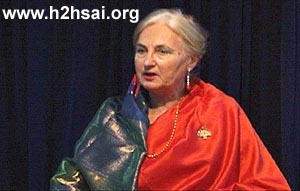 Mrs. Carole Alderman is the Director of the British Institute of Sathya Sai Education in Human Values in the UK. For the past 3 decades, Carole has devoted her time and energy to promoting the Education in Human Values Program among schools and teachers in Britain and other countries. 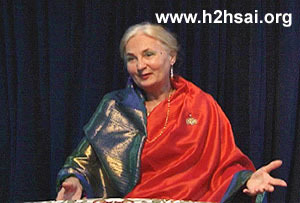 In an interview with Heart2Heart in December 2008, Carole spoke about her work and life as inspired by her divine teacher, Sri Sathya Sai Baba. Reproduced below are excerpts from the second part of this conversation. Please go here to read the first part published in the July 2009 issue. H2H: Tell us a little bit about the nature of your current work that you’re so deeply involved with. You’ve done a lot of workshops, you’ve a very busy schedule year-round, and you’re a registered organization – The British Institute of Sathya Sai Education. As its Director, what can you tell us about it? CA: Yes, it is a company limited by guarantee, and it has all the necessary paperwork that is required in the UK. It’s a registered charity, which is good because although it requires a lot of administrative work, it gives respectability. 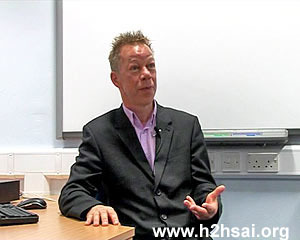 H2H: And, I believe its mandate is to publish training materials for teachers and to carry out research into the effects of SSEHV. What has been the response so far? CA: Right now we’ve actually got a management board, with the responsibility for different aspects. Up to a few years ago, I was responsible for everything and I really had a work overload. I think that for the first 10 years I worked 6 ½ days a week, almost 15 hours a day. But Swami always gave the energy. Even when I’d have to do a workshop and I’d been ill, as soon as I started the workshop I would not be ill again until I’d finished the workshop. So there was nothing to worry about. But we developed very good training material in the UK over the years. H2H: And you trained teachers? Educators? CA: We trained some educators, we did a group of educators in Wales, but we have general groups and often have mixed groups, because the training is partly self-development and people come for that aspect as well. We have reflective exercises and an awareness exercise, which I picked up at the Philosophy School. H2H: So when you approach a public school system to carry out this education for their teachers, parents or school community, how exactly do you present it to them? CA: Well, it usually comes about the other way around. One of the things we do is run holiday schools or weekend classes or schools. 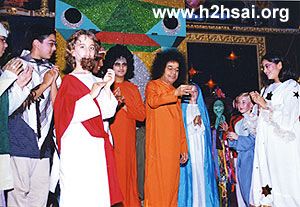 For example, a couple of years ago we started a Sathya Sai Weekend School in Wembley (north-west London). And it’s been so successful in changing the behaviour of children. There are more children coming now because the premises of the school in which we run this programme has asked us to start the SSEHV classes for their school children as well. 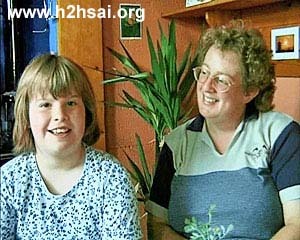 We have a full-time school in Leicester, a Sathya Sai School, with about 50 or 60 children. But we’ve also got a State school in Leicester, which has about 450 children, whose headmaster is absolutely, very keen on SSEHV. All of those children have an SSEHV lesson every week, and one of our teachers who has been doing SSEHV for many years, shows the teachers how to integrate the values into the curriculum. So he helps to execute the schemes of work with them. H2H: So you educate the educators to take it into their classrooms. CA: So the teachers know how to bring values out in the classroom, as well as having a dedicated lesson every week. I think we couldn’t have done that if we hadn’t had the books. We currently have 6 books sold in the bookshop in Prasanthi Nilayam and 3 more are in progress – 2 are being reviewed by schools and one more is being written. If we didn’t have a set of books, one for every year, we wouldn’t be able to do it in that way. The ready-to-use resources make it pretty foolproof for the teachers to teach EHV. H2H: Yes, it’s wonderful to have such well-researched materials handy, because then it becomes very easy for the teacher to adapt them. My next question to you, Carole, would be – what is it about this programme, the Sathya Sai Education in Human Values, that appeals so deeply to educators who care about their students, that the public school system in the UK is embracing it with such warmth and enthusiasm? 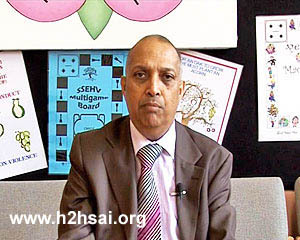 CA: Tim Foster, the headmaster of Abbey Primary Community School, is very keen on Sathya Sai Education in Human Values. He recently said to me that if we could get it into 10% of the schools in England, it would just change the country. We would have no problems with all the social ills that we have at the moment. Of course, it would unite the people of different religions, because the 5 values are inherent in a human being. They’re the unifying factor between all the religions. 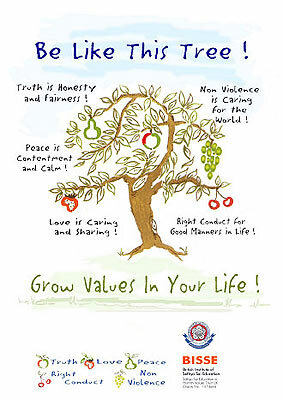 All the faiths have these values in them - they all talk about righteousness, love, truth and peace. And non-violence will come automatically if they have those other 4 values. And indeed the feedback from the various schools who are actually using the programme has been very impressive. The public school system in the UK has accepted that they’ve got to teach values. So there are quite a few values programmes in the UK. This particular programme in my opinion, has a spiritual aspect to it. 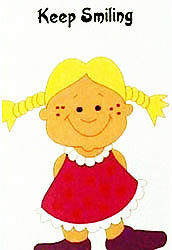 It raises children’s self-esteem, it improves their behaviour, it makes them feel worthwhile, and it makes them happy. And that was one of our aims – to make the children happy. Because children are extremely unhappy if they don’t have a value system. H2H: And it’s hard to believe for someone in, for instance a developing country, that children in a country like the UK would be unhappy, where they have access to all the basic amenities, comforts and luxuries in life. That’s quite revealing. CA: And one third of all suicides in the UK are among students who have recently left university. H2H: It’s the moral breakdown that’s happening in Western societies. CA: But values education certainly improves the children tremendously. It changes the ethos of the whole school. H2H: What’s the feedback from the parents? CA: The feedback is very positive. It’s always positive when it’s done properly, with a teacher who endeavors in some way to practise the values. Because it’s all about practice, it’s not so much about teaching. H2H: And role modeling, because if the teacher’s an example of the values he or she is teaching, students are more likely to follow. CA: It’s absolutely imperative! You can’t teach a child to do something if you’re not doing it yourself. H2H: And in that respect, Bhagavan is the greatest teacher because He is a perfect role model. Tell us a little bit more about the Good Values Club that you run. The club is for children of all ages. There are about 160 children now. It’s held at Abbey Primary Community School – the school that I told you about, the public school. And as I already said, the head teacher there said to me in October, that if we could only get Sathya Sai EHV into 10% of the schools in England, it would change the country so much. And he doesn’t know Sathya Sai Baba; he’s not a follower. There are other similar SSEHV clubs throughout the UK. H2H: I see. The head teacher appreciates His values, the philosophy so deeply. CA: Absolutely. He really does. H2H: That speaks volumes about the organic nature of what Bhagavan is trying to tell us. Anybody with half a brain and common sense will appreciate the impact it’s bearing on children everywhere. Tell me a little bit about the partnership schools. CA: Abbey Primary Community School is a partnership school. There are also others nearly ready too. We have about 20 schools in Wales, who have been doing EHV for quite a long time. There are quite a lot of schools using SSEHV in London and elsewhere. I don’t even know how many because I’m always coming across people who say, “Oh yes, I’m using your books in my school”, and they don’t always – or very rarely – ever have the time to contact us and let us know. But that’s an area that we need to go into more. But really, we spend a lot of time setting up holiday schools and monitoring things. Now, in this new busy setup, my personal responsibility is developing the resources, developing the books and writing them. CA: Yes, because Swami said to me two things. He said to me – well, He’s always said to me – “Teacher”, even though I’ve not got a teaching certificate. He’s always been teaching me about being a teacher, and about being accurate. I’ve been very fortunate in the interactions He’s allowed. For 6 years I was Head of Protocol backstage at the children’s Christmas Play. H2H: Tell us something about that. What has He taught you, specifically? CA: One of the things He taught me was accuracy – I must always be 100% accurate, down to the last person. 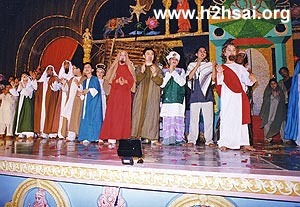 I remember in the first play I was involved in, there were about 1200 people participating in it. He expected me to know how many people were in each team, all the time, and not to be out at all. H2H: To be a very hands-on leader! CA: And whenever I would get lists of things that I thought I knew the answers to, He would always ask me a question I didn’t know the answer to. Always! So it was quite amazing but it was delightful too; He always came and spoke to me. But one interesting thing I thought… when I was given that job, or asked if I would do it, they said I didn’t have to worry very much because Swami would come out of His door, from His house (then in the Poorna Chandra Auditorium), and He would always go past the men’s side, where the boys were sitting. He wouldn’t come past the girls’ side. At that particular time I think we had about 50 boys and 80 girls. It was a big group for the Christmas play. We would take all of the Western children who wanted to participate. And I thought, “Well, that’s strange… an Avatar, always going past the boys’ side. That’s gender biased. It can’t be the case. Swami is beyond gender, there’s no gender for Him.” So I thought that if I make the discipline very strict, and the girls behave very well, we’ll see what happens. So we did this, and when Swami came out – I squashed myself back into the curtain as much as I could, into the corner – He came over, straight past me and straight past the girls… And He did it virtually, almost every time for the Christmas week for 6 years, when I was there. Provided nobody came and sat in the way or did anything wrong. So much so that I started to feel sorry for the boys’ side, and decided to tell the boys what they must do if they wanted Him to pass on their side. 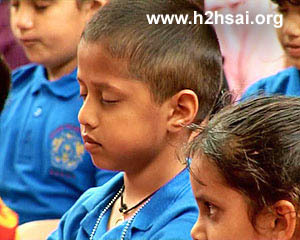 H2H: Swami was looking for discipline and yearning. CA: Yes, and He’s very keen on discipline. H2H: Absolutely. 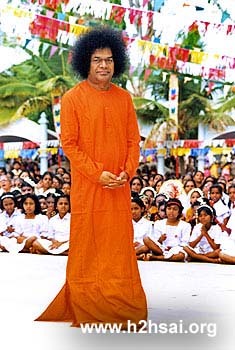 And it’s very apparent here, in the way the students conduct themselves, and in the way the ashram is run - discipline is the key to Swami’s philosophy. 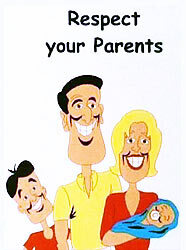 CA: Yes, without the sevadals, none of us would have darshan! H2H: Absolutely. It would be total chaos. CA: Yes, it would be impossible. 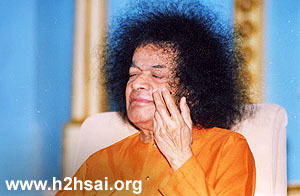 H2H: Finally, I just want ask you… What are your thoughts on being a Sai devotee in the current times, and the relevance of His teachings to the challenges that we face as a society today? CA: Well, His teachings are telling us how to live happy lives, actually. Because if we follow the teachings, we will live happy lives that won’t be chaotic and troublesome. I mean, my life now is totally different from how it was before. It is totally different. H2H: And what are the differences? CA: I’m happy! Almost all of the time. And if I have any problems, I can just turn to Him and He’ll sort them out for me. H2H: It’s a great reassurance to know that there’s always somebody you can turn to. CA: Yes! And that life goes on, that we make our own lives…. As we sow, so we reap. And that we’re here to serve others. Once you start to serve others and stop thinking about your own problems, you don’t have any worries. H2H: That’s very true… Because the worries just generate from the mind. CA: And the joy, from doing the workshops and the training with the adults! The work is joyful! And we have such good fun. H2H: Tell me about some of the most memorable workshops you’ve ever conducted. Study Swami’s teachings, and whatever He asks you to do, do it. Because if you don’t do it, He’s only going to ask you again. So you might as well get on with it. And know that you can do it. With Swami there, we can do anything. We did a couple of hours last year I think, just as a sample, for the Europeans – the mainland Europeans, I should say; geographically the UK’s part of Europe, of course. It’s just happy work. I mean, I’m so lucky. 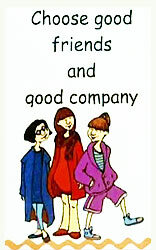 Being immersed in the training, and writing EHV books – I’m just immersed in happiness, really. I enjoy it so much. My husband helps me enormously, and looks after me in everything. He does all the difficult stuff, the administrative work. His work is in documentation, and that’s what he does. I find it very difficult to do anything without him. I hate going to big meetings without him. Because it’s like having half my brain missing. H2H: Because you work so well as a team. It’s been wonderful talking to you. Any last reflections for RadioSai listeners, about the SSEHV message and its value? CA: Study Swami’s teachings, and whatever He asks you to do, do it. Because if you don’t do it, He’s only going to ask you again. So you might as well get on with it. And know that you can do it. With Swami there, we can do anything. Because I told you, I’m not a public person – I hate speaking. Except now, for the training… Anything to do with our EHV is fine. But Swami even had me speaking on Ladies’ Day one year. And so, you can do it! Just leave it to Swami. H2H: Clearly, you are pointing to a strong sense of urgency to follow His teachings and to trust them. CA: We don’t really have time to waste. Although we have all the time, we have eternity, we have no time to waste. Let’s get His message out while He’s still in His body. H2H: Very important, very priceless. Thank you Carole, for being with us. It’s been a pleasure talking to you. Sairam.